Compute cost of one table under variable costing. 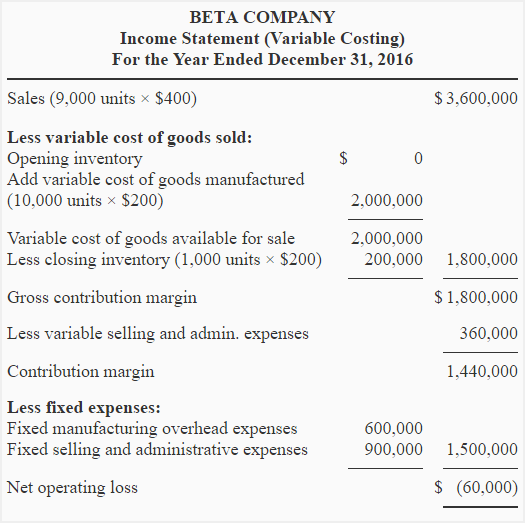 Prepare income statement if variable costing is used. Compute break even point both in units and in dollars. Calculate net operating income of the company under absorption costing by preparing a reconciliation schedule. (Do not prepare absorption costing income statement). The inventory has increased during the period by 1,000 units. The fixed manufacturing overhead cost included in 1,000 units would be added to the variable costing net operating income to obtain absorption costing net operating income figure. Thanks Kemphalkun for using our site. Please share it with your friends and fellows.